Integrated drives allow pumpers to set operating parameters and pump off control, cutting energy costs and extending equipment life. Connecting these drives with pumpers, other production team members and even back-office personnel provides additional advantage. Faster reaction to changing field conditions. Remote monitoring enables operators to see the current status of every connected well in near real-time. In unconventional wells, operating conditions change rapidly. Pumpers can use alerts to identify impending problems at any time. Immediate action can then be taken, either by traveling to the well or simply using a web interface to adjust torque, strokes/minute or other parameters. Pumpers can also see if changing conditions affect only one well or many. Optimized pump off control. Pumpers can monitor pump off details for every well. Details like number of pump offs per day per well can be tracked and used to adjust and refine controls. If wells can be kept from full shutdown, they can realize incremental production and avoid problems with solids, wax and other debris clogging the stopped pump. Added context from other measurements. When a beam pump drive is remotely monitored, associated measurements can also be tracked. For example, pressure, temperature and rod position can provide the pumper with a more complete picture of what is happening at the well. The additional information improves optimization and decision-making. In-depth trend analysis. Measurements are stored for trend analysis. Pumpers and others interested in field performance can review this data to see how well performance has changed over time. It can also be used to compare performance across multiple wells. Armed with this detail pumpers can make better operational decisions. Business managers can make strategic decisions ranging from refracking and enhanced recovery to divestiture. All of the analysis can be done in a safer and more comfortable location than at the well. Extended equipment life. Pumpers often have large distances to travel between wells. Remote monitoring helps pumpers determine their optimal route based on current conditions and make changes as needed away from the well. In both cases, problems are dealt with faster and potentially before they fully manifest. Gearboxes, rod strings and the prime mover are great beneficiaries of this quick response. For beam pumps, avoiding fluid pound, stress on the rod string and overheating translates into longer life and lower cost. 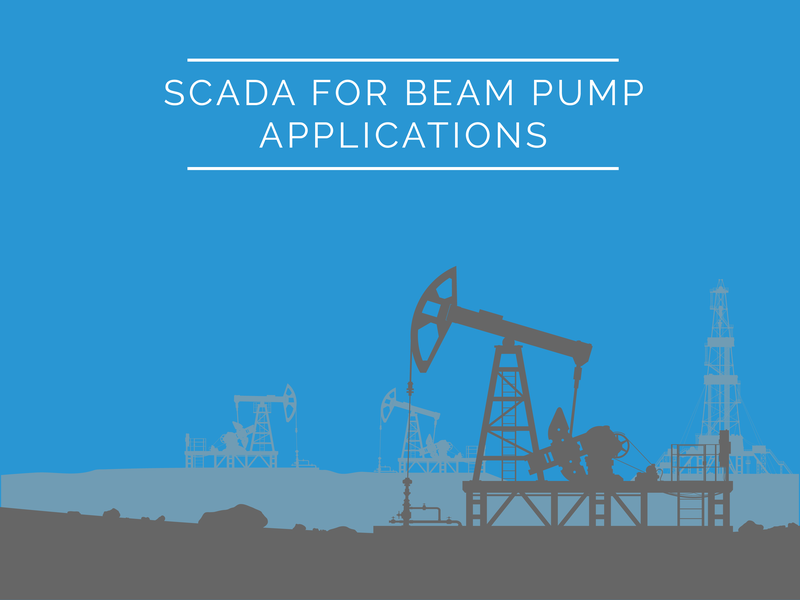 If you have beam pumps, think about optimizing their performance with SCADA remote monitoring.